WASHINGTON -- Toyota's recent management changes have not gone far enough to address a number of safety problems that have arisen over the past decade, an advisory panel appointed by the company said Monday. Toyota's worldwide recalls of millions of vehicles since 2009 were attributable in part to overly centralized decision-making that still remains too Japan-based, the panel headed by former U.S. Transportation Secretary Rodney Slater said. The company's "skepticism and defensiveness" toward consumer and other outside complaints also played a role, and Toyota should identify itself more closely with the goals of U.S. safety regulators and less with industry lobbyists, the panel's 60-page report said. The automaker also lacked a top safety executive until April, and the seven-member panel that is being paid by Toyota said it still couldn't "identify a clear management chain of responsibility for safety." Still, the panel said it is optimistic about Toyota's future. Federal investigations have revealed no electronic causes of unintended acceleration, the company's Global Vision 2020 makes safety one of its highest priorities, and management has been "eager to implement positive changes," the report said. These changes suggest that Toyota wouldn't be as slow to respond today if safety problems were to surface, panel members said. "Responses would be much more pro-active and faster than they have been in past cases," panel member Brian O'Neill, former Insurance Institute for Highway Safety president, said at a news conference. Added Slater: "They're serious about wanting to reclaim their valued perch of premier leader in auto manufacturing. We'll just have to see what the leadership does" with our recommendations. Toyota President Akio Toyoda, who has met twice with the panel since it was formed a year ago, said the company "has learned a great deal from listening to" it. "Now the panel has given us further insights into how we can best achieve our vision of exceeding customer expectations with the safest and most responsible vehicles," he said in a statement. The report said Toyota's commercial success as the world's largest automaker may have played a subtle role in safety defects dominated by unintended acceleration complaints..
"That is because a well-deserved sense of pride at being number one can slowly and subtly transform into arrogance and foster complacency," it said. The report suggests Toyota has a way to go to restructure its vehicle-safety management. 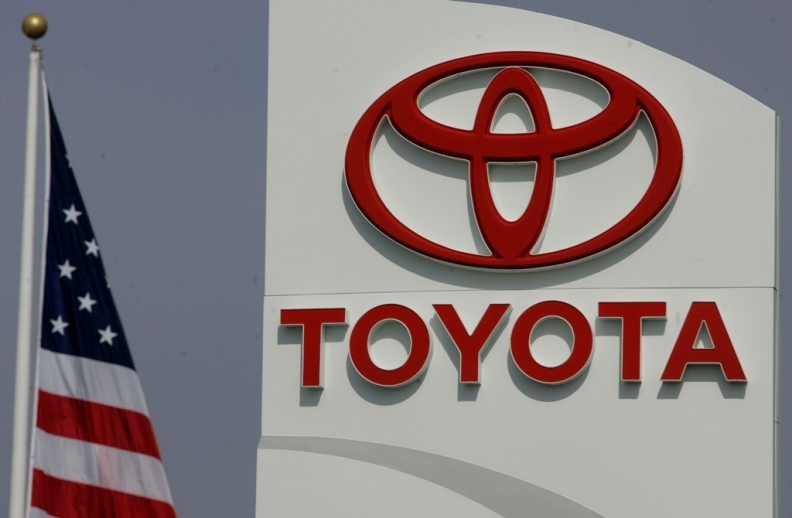 Toyota responded to its recalls, lawsuits and record federal fines of nearly $50 million by last year creating a North American executive panel with direct responsibility for regional business and operations. The company also has said it will increase decision-making by regional affiliates and establish regional advisory committees for North America, Europe and Asia. But these changes don't go far enough, and the details of some of them have not yet been spelled out, the panel said. "Toyota needs to continue to adjust its balance between global and local control, giving weight to local control in order to improve its communication and speed in responding to quality and safety issues," the report said. The company should consider appointing one CEO for North American operations, the panel said. Last year, Toyota appointed Steve St. Angelo as chief quality officer for North America. Toyota also responded to the panel's advice last month in appointing Moritaka Yoshida to the new position of Toyota chief safety technology officer (CSTO). "The panel eagerly awaits more details about the CSTO's authority and responsibilities," the report said. While the report praised Toyota for moving to streamline its Japan-dominated board, the company also should consider appointing a director from a key regional market such as North America. Toyoda previously acknowledged some of the management failures cited by the panel. "Toyota has become too big and distant from its customers," he said in October 2009. The company president also said in February 2010 that Toyota executives were suffering from "hubris born of success." The report said Toyota should simplify the downloading of crash information from electronic data recorders, or black boxes, rather than using decoding devices that too often need upgrades, the report said. Toyota's manufacturing error detection, based in part on going to the source of the problem to understand root causes, is "unhelpfully narrow," the report said. This manufacturing approach is "not applied rigorously enough" in vehicle design, corporate governance, customer feedback and regulatory affairs, the report said. The panel, announced by Toyota in the spring of 2010, completed the report at the midpoint of its two-year term. It will spend its second year monitoring the company's implementation of its recommendations. Since the third quarter of 2009, Toyota has recalled more than 20 million vehicles.